Here on Ibiza there are some sure fire signs that summer is inching ever closer. The temperature’s rising, the island is filling and and there’s more club news on a daily basis than there are hairs on your grandma’s chin. That might make it tricky for you lot to keep up with, so allow us to fill you in on all the island gossip. So put your feet up, there’s plenty to be digging into to. First up is Pacha, which is currently announcing line-ups stronger than Schwarzenegger in his hey day. 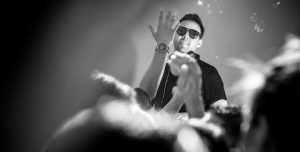 Maceo Plex has just confirmed he’ll be mixing it up with a stellar rotation of old school legends and newcomers to the scene. Adam Beyer, Rødhåd and Ben Klock will be bringing the banging techno to Tuesday nights at the club, while Steffi, Henrik Schwarz and Röyksopp will usher in an altogether different vibe. There’s big news for Friday nights too, as Hot Since 82 has revealed he’ll start the weekend with a bang with his new party, Labyrinth. Promising a kaleidoscope of sounds, he’s drafted in the likes of Dubfire, Eats Everything, Cassy and Maya Jane Coles who’ll be on hand throughout his 20-week tenure. Skream, Patrick Topping, Matador and De La Swing. 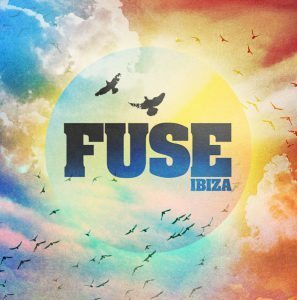 London crew FUSE will team up with HYTE on Wednesdays again this summer, this time with four exclusive dates to showcase their steam. And in a final foray, Marco Carola has been added to the club’s opening party line-up, which should give all you diehard techno zealots something to be pleased about. At Ibiza’s newest club, Hï, things have also been hotting up. Armin van Buuren has been brought in to make trance fans quiver on Wednesdays, with his U R residency, which opens on 21 June. Andrea Oliva & Friends will be filling out the bill on Tuesday nights alongside the already announced Eric Prydz, with the entire crew in action from 20 June to 22 August in the newly-named Club (once the Terraza) and Theatre (formerly the Discoteca) rooms. Deamau5 will also be making an appearance, once on Tuesday 18 July and again on Tuesday 22 August. Ushuaïa has drafted in the usual big guns for the duration of summer. 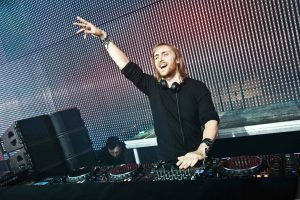 David Guetta will be back with his BIG residency every Monday from 12 June to 28 August. Norwegian whizzkid, Kygo, will be back with 10 dates at the alfresco party hub, you can catch him every Sunday from 9 July. And Tinie Tempah keeps his Friday night Disturbing Ibiza slot, with 15 dates set to launch him into headlong into midst of the White Isle summer madness. Elsewhere, there were genuine ripples of excitement when legends of the scene Sasha & Digweed confirmed they’d be uniting to head up the Resistance on Tuesday nights at Privilege. They’ll be raising heart rates across six exclusive dates at the world’s biggest clubs. Over in San An, Ibiza Rocks have confirmed the mighty Primal Scream for a one-off performance at Pikes Hotel, and Kooks will be in charge of the San An venue’s closing gig. In addition, Jamie Jones will take Paradise back to DC-10; Do Not Sleep has a new home at Sankeys and Children of the 80s will be return for its third season at Hard Rock Hotel.